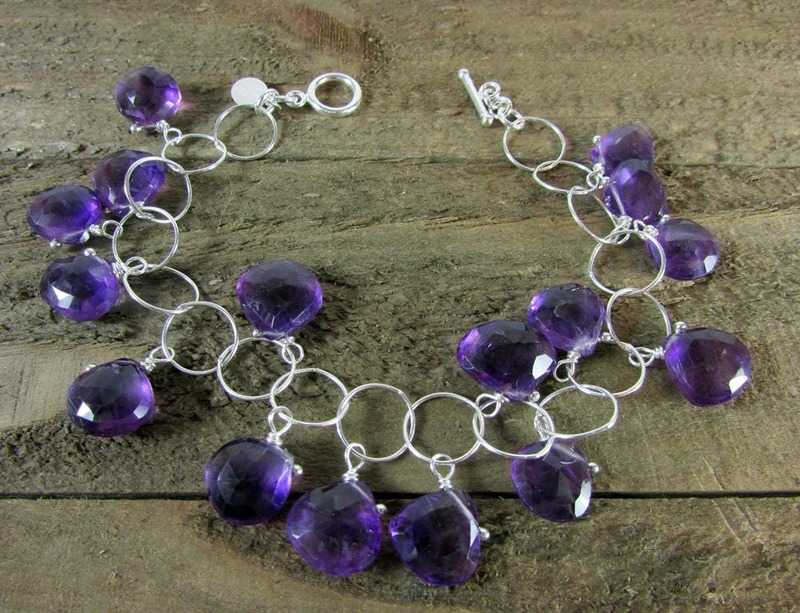 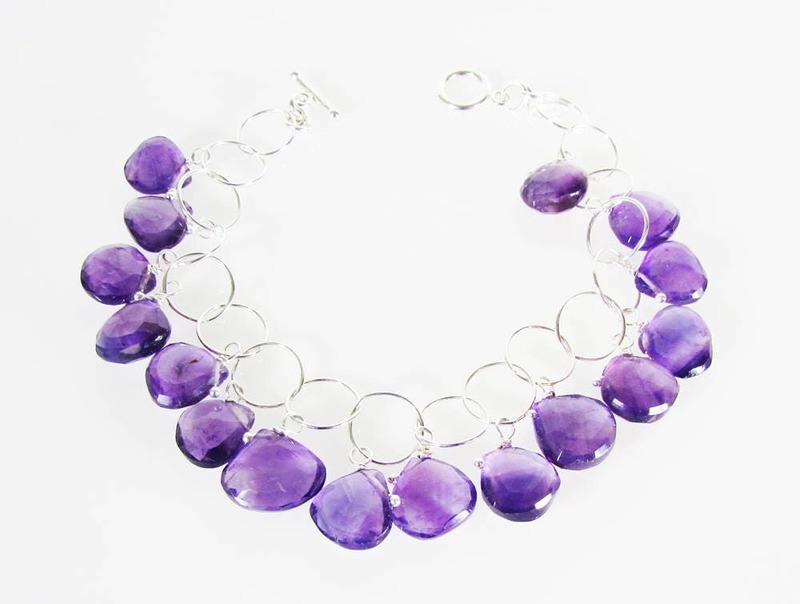 This beautiful bracelet is made with 10mm round sterling silver chain and 9mm to 12mm faceted genuine Amethyst gemstones. 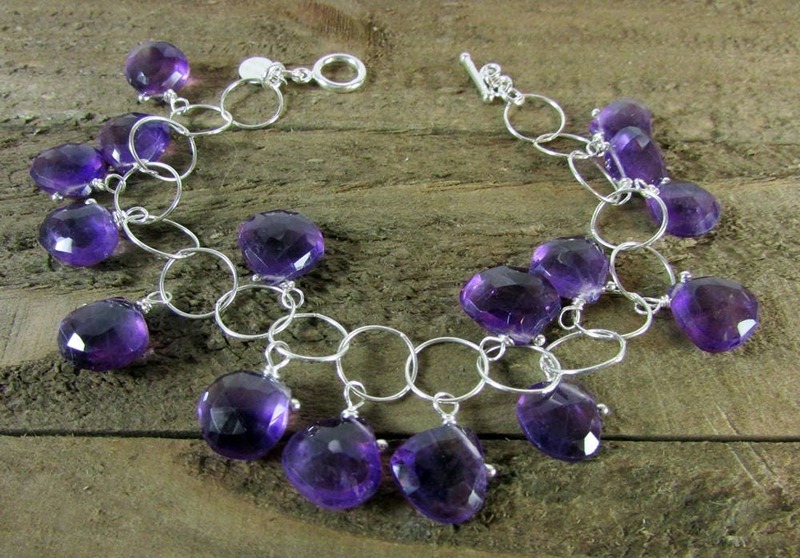 I finished with a delicate sterling silver toggle clasp. 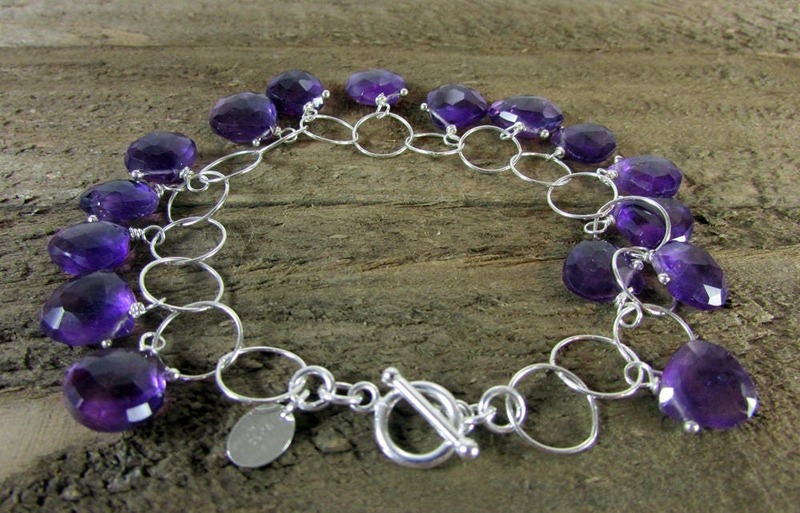 Made to fit wrists from 6 to 7 inches. 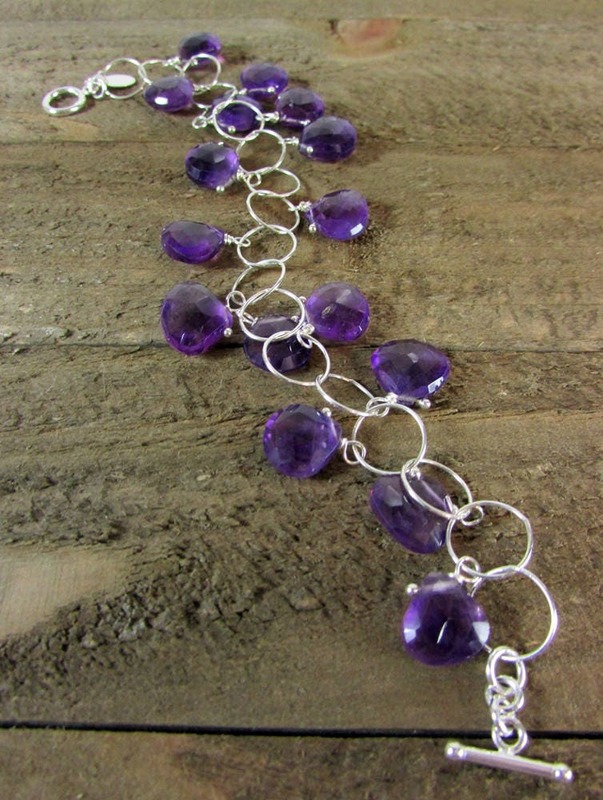 The total length of this bracelet is 7-1/4 inches.